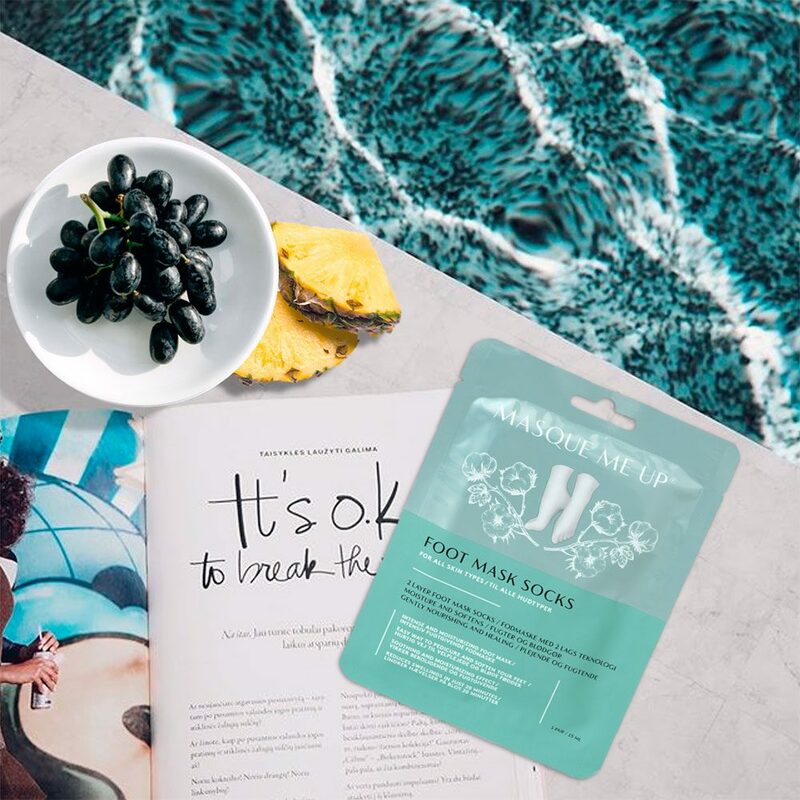 soften your feet in one step. Our patented 2-layer technology makes it possible to move along as usual while the mask is working. It has a soothing and moisturizing effect, and reduces swellings in just 20 minutes. 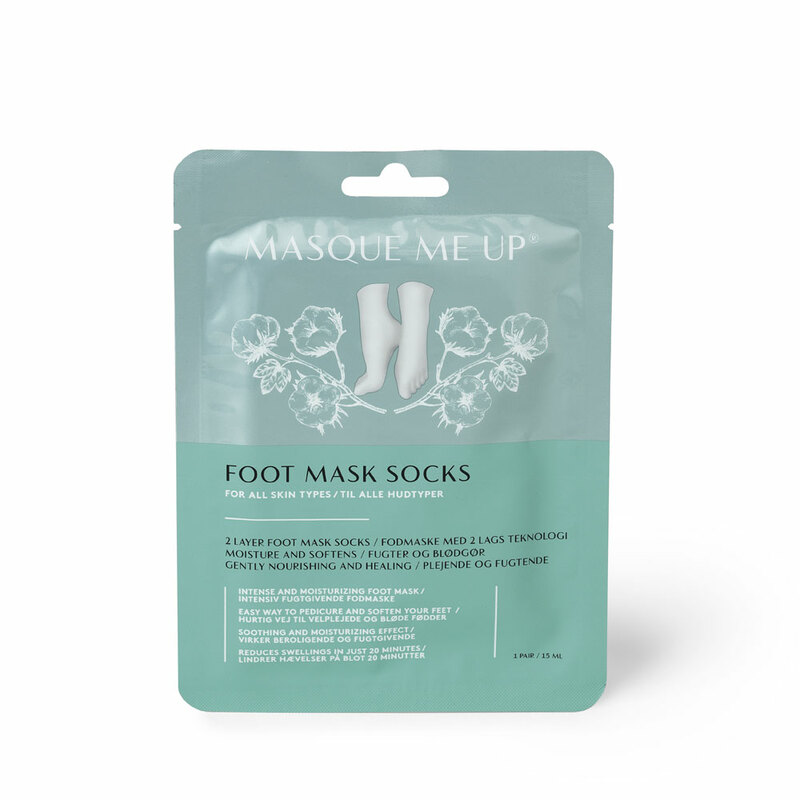 The foot mask contains a serum with active ingredients, especially helpful for dry and tired feet. Water, Glycerin, Urea, Carthamus Tinctorius (Safflower) Seed Oil, Glyceryl Stearate, Butylene Glycol, Cetearyl Alcohol, PEG-100 Stearate, Phenoxyethanol, Dimethicone, Arginine, Carbomer, Caprylyl Glycol, 1,2-Hexanediol, Propanediol, Allantoin, Adenosine, Disodium EDTA, Hamamelis Virginiana (Witch Hazel) Extract, Fragrance, Illicium Verum (Anise) Fruit Extract, Sodium Hyaluronate, Propolis Extract.